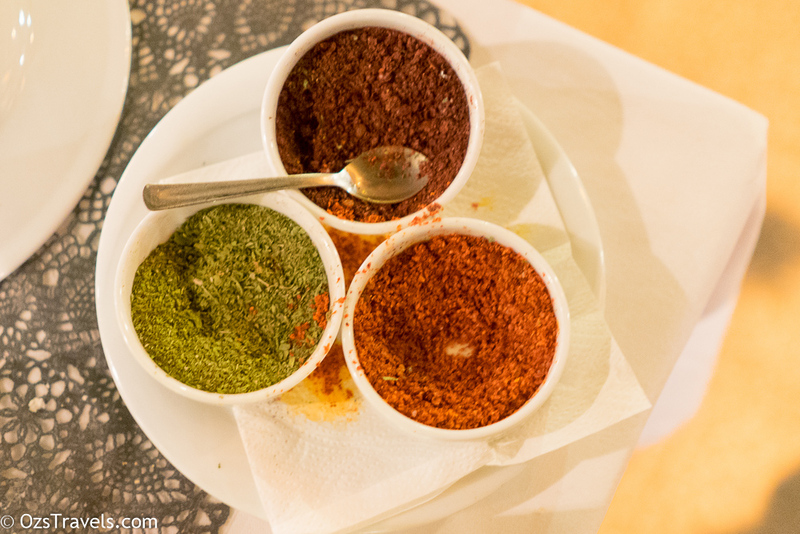 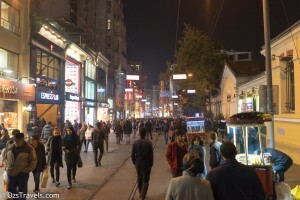 Istikal Caddesi, Independence Avenue, was the destination for our last night in Istanbul. 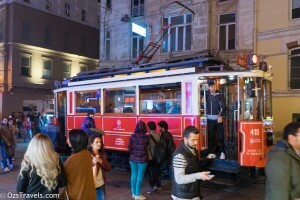 Being a Sunday Night I was not expecting it to be as busy as it was, the entire avenue was filled with people all out for a bit of fun, food and a stroll or a ride on the Red Tram. 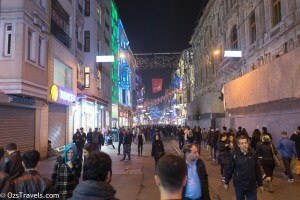 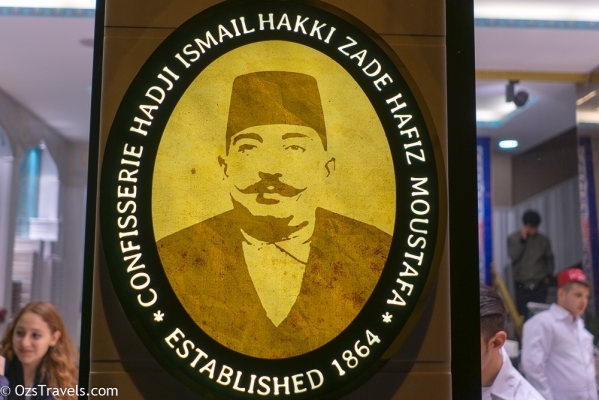 If I had done a little research before I would have found that the area that includes Istikal Caddesi is one most popular places in Istanbul to shop, relax, people watch and have fun that, on an average weekend day, around 3 million people visit. 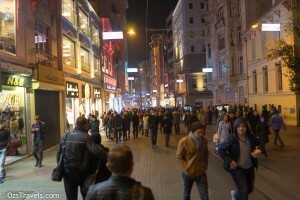 The avenue itself is 1.4km long and stretches from the district near the Galata Tower to Taksim Square. 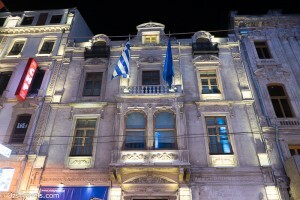 The majority of the buildings along the avenue were built in the 19th and early 20th Century. During the 1970’s and 1980’s there was significant influx of rural migrants into the area and an increase in bars and bordellos, which caused the residents to move out and as the area had lost its appeal and status. 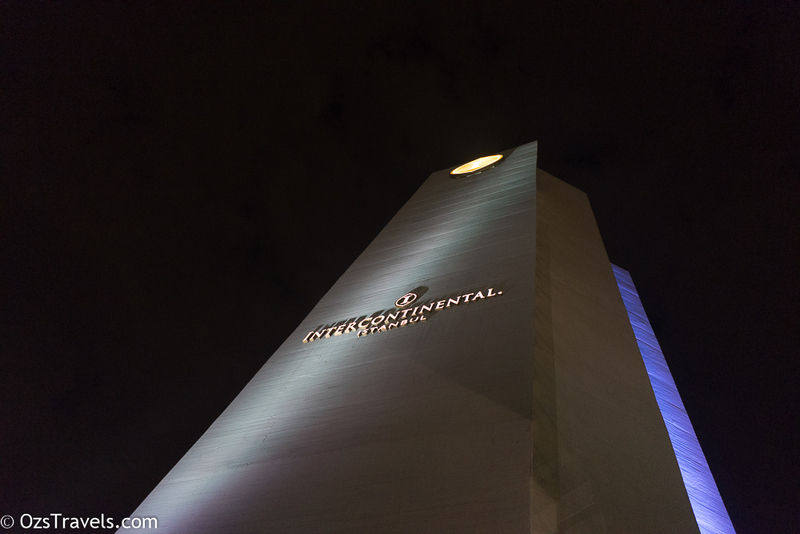 The impact of this is that the buildings deteriorated due to a lack of maintenance. 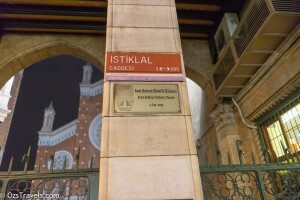 In the late 1980’s both the Istanbul Metropolitan and Beyoğlu Municipalities decided to restore the entire area, not just the buildings along Istikal Caddesi. 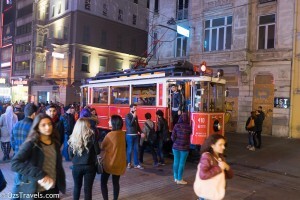 The restoration included converting the avenue into a pedestrian zone, ie no cars, plus they restored the historic 19th century Red Trams, which run length of the avenue. 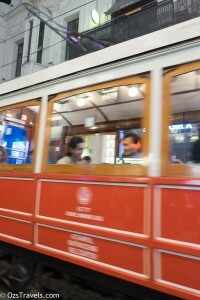 These trams were originally decommissioned in 1961 when they were replaced by buses. 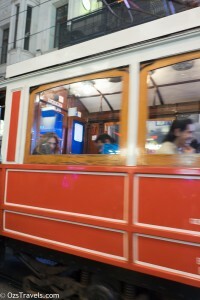 Even though the small, single car Red Trams are slow, they still carry around 6000 passengers per day. 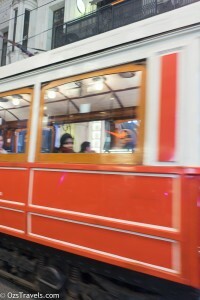 Unfortunately, we did not ride a tram this trip, one more item added to the list for the next one. 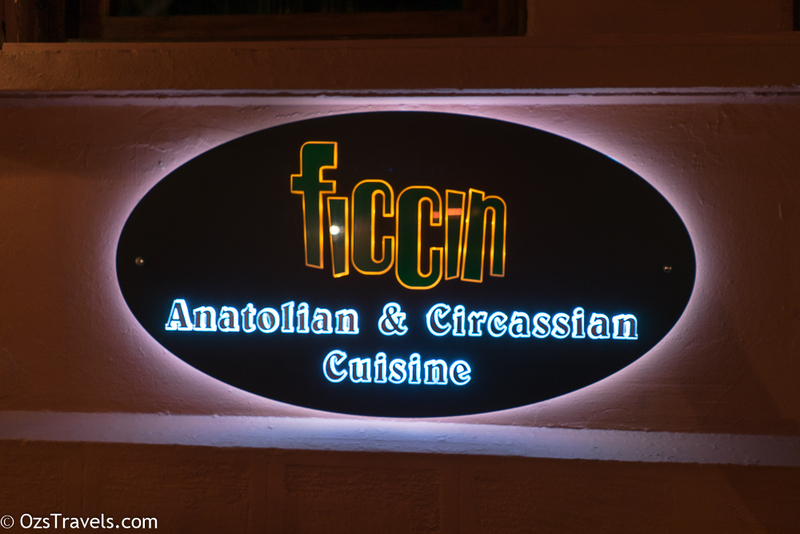 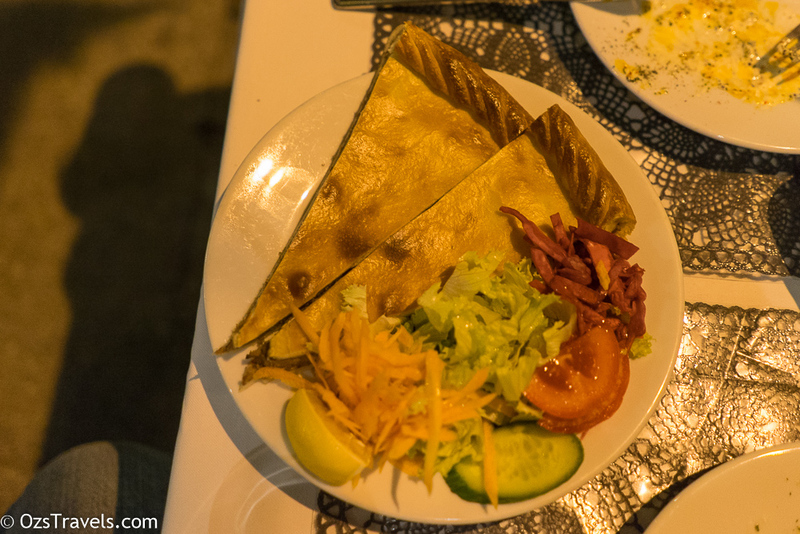 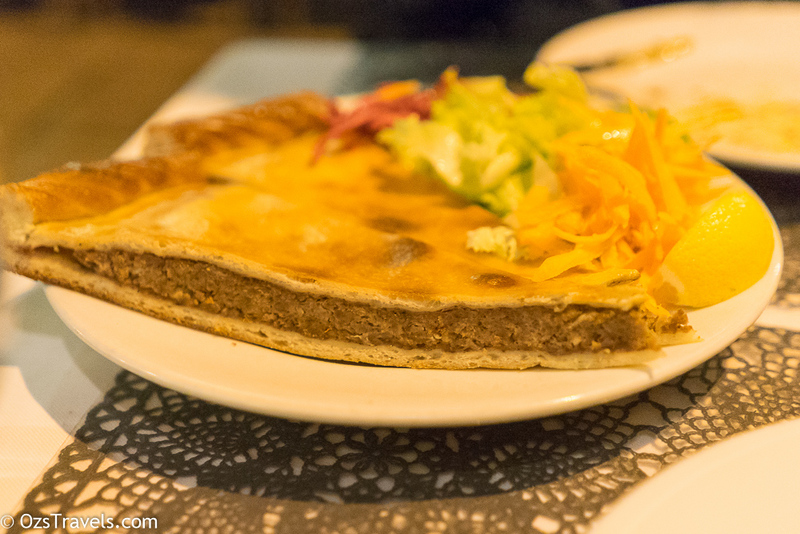 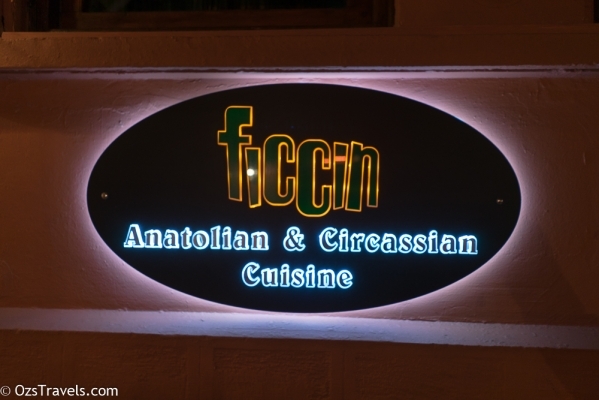 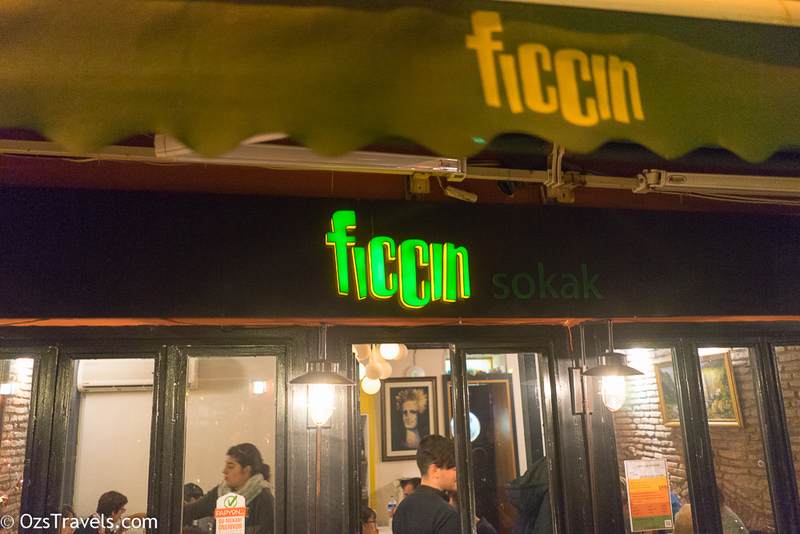 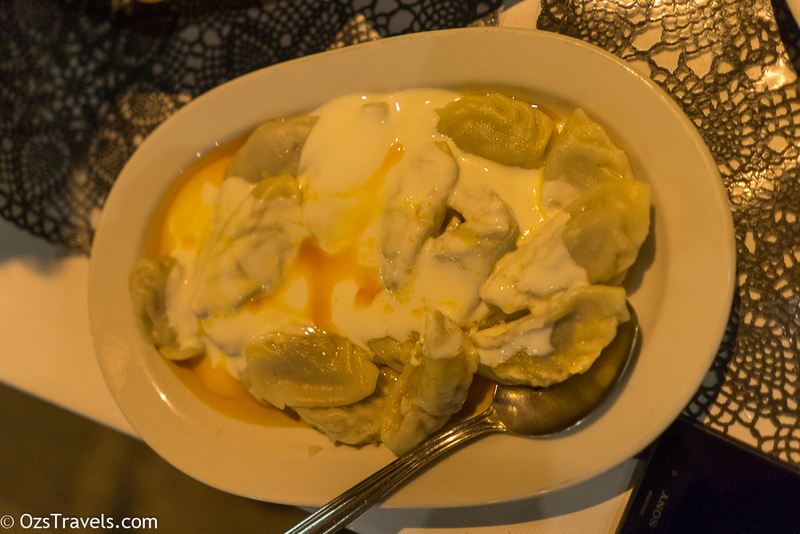 For dinner we chose a restaurant on one of the many lanes that run off of Istikal Caddesi called Ficcin. 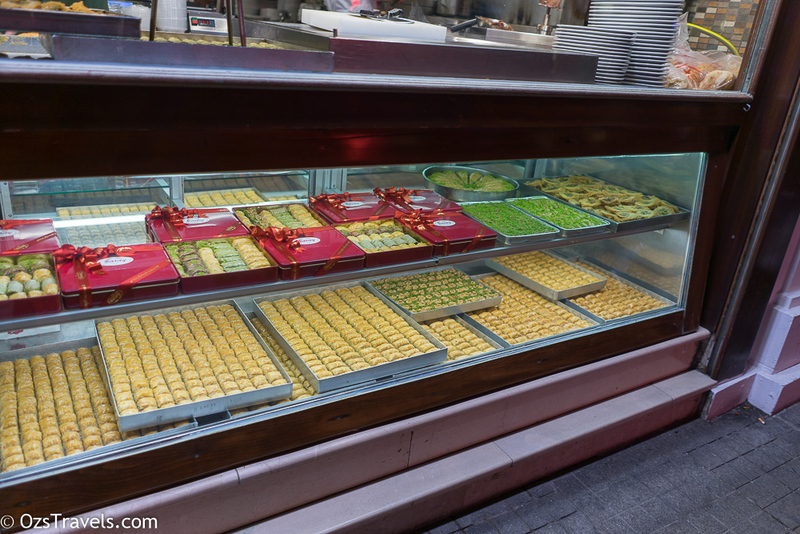 There are lots of places to choose from, the main reason we stopped there was because we were starving and had had enough of walking by then. 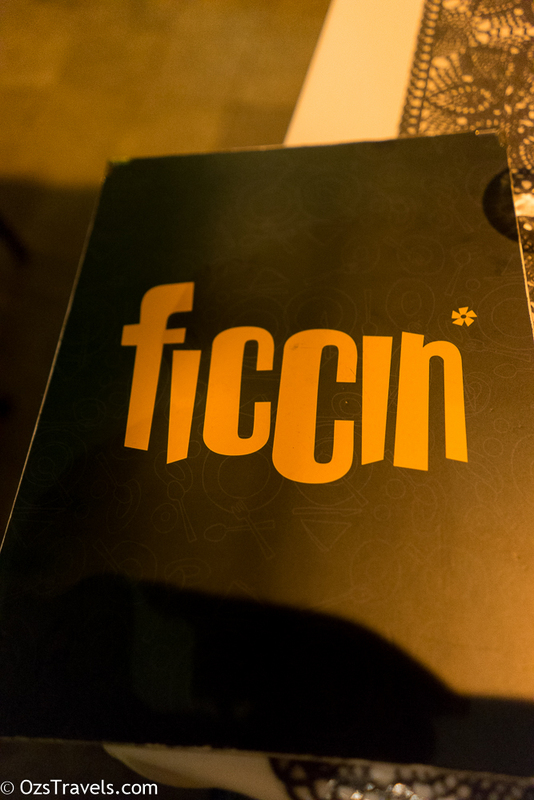 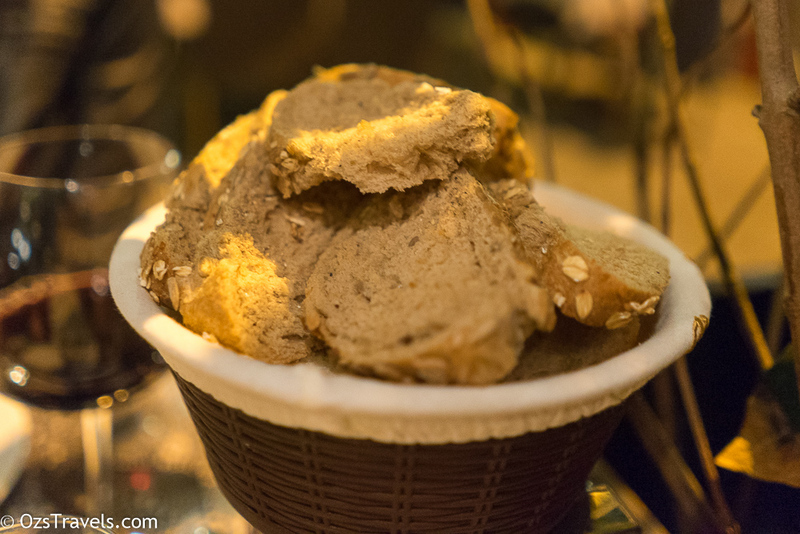 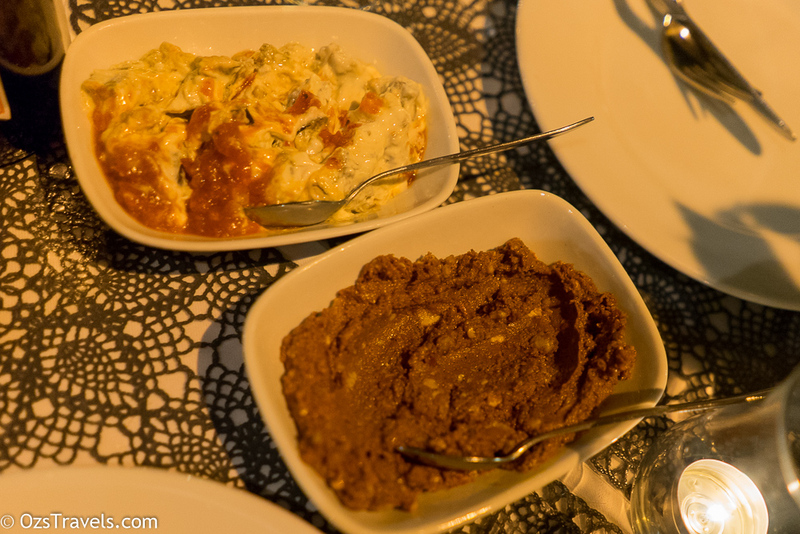 The food was good, not great, and the wine list was a little light on, what was very good, was the service. 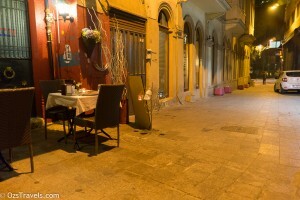 Our server was Bill Gates, yes that is her name, she was very helpful and friendly, which made it an enjoyable dinner. 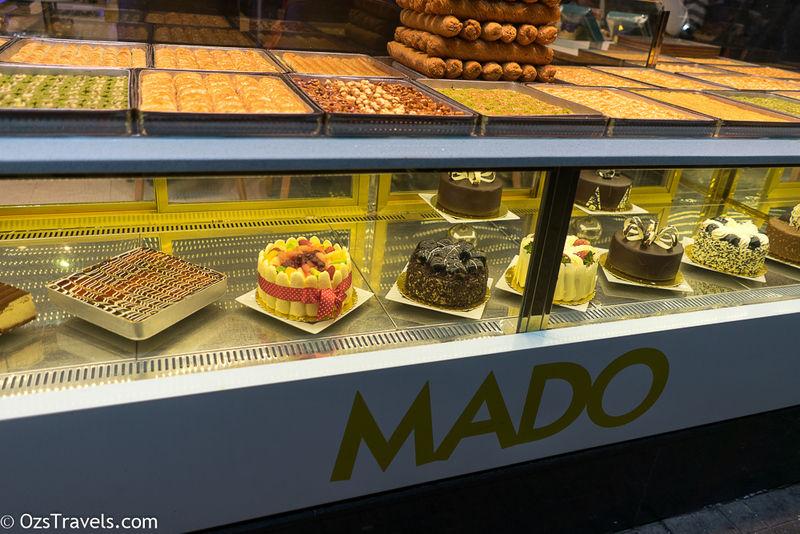 We were pretty full, but we did have to find a the patisserie for dessert on the way back. 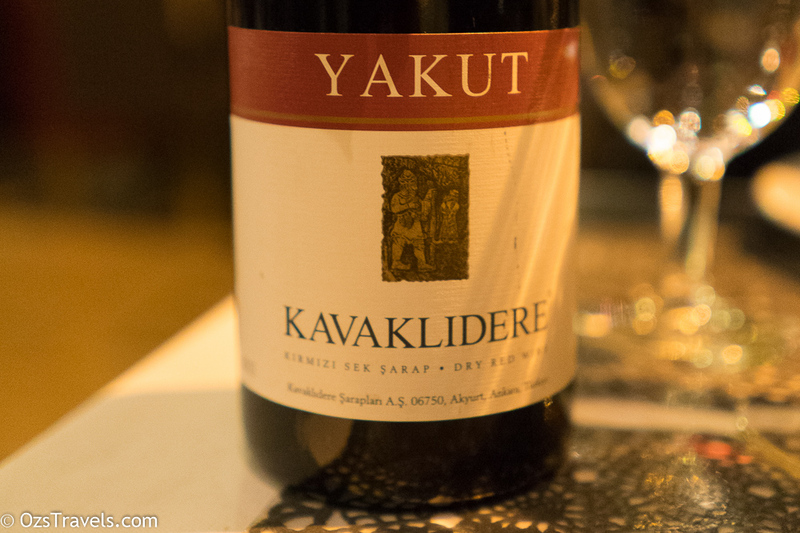 The wine we had, a 2014 Kavaklidere Yakut, Ankara, Turkey a blend of Okuzgozu, Bogazkere, Carignan and Alicante Bouschet, was not as good as the wine we had on the first night, it was drier, did not have a great nose and a short finish. 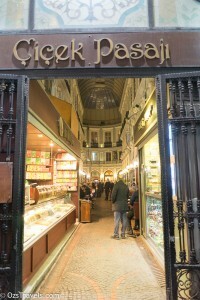 After dinner we wandered slowly back to the hotel and looking for somewhere to pick up dessert. 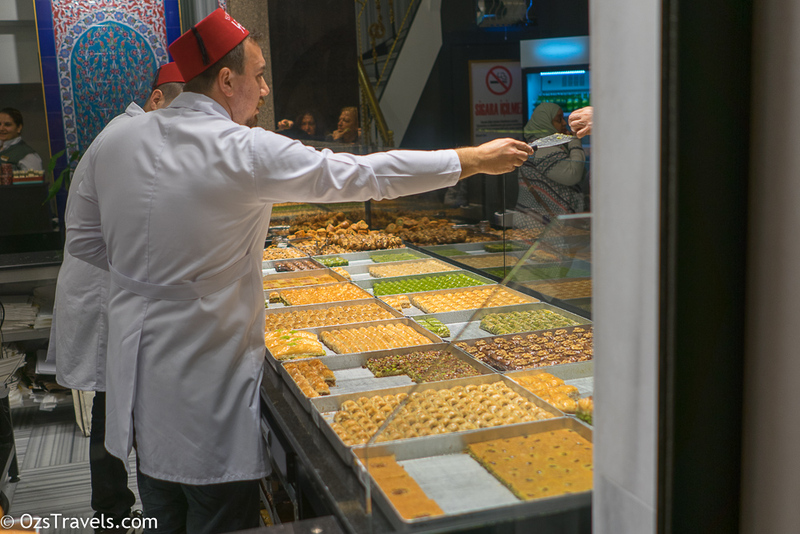 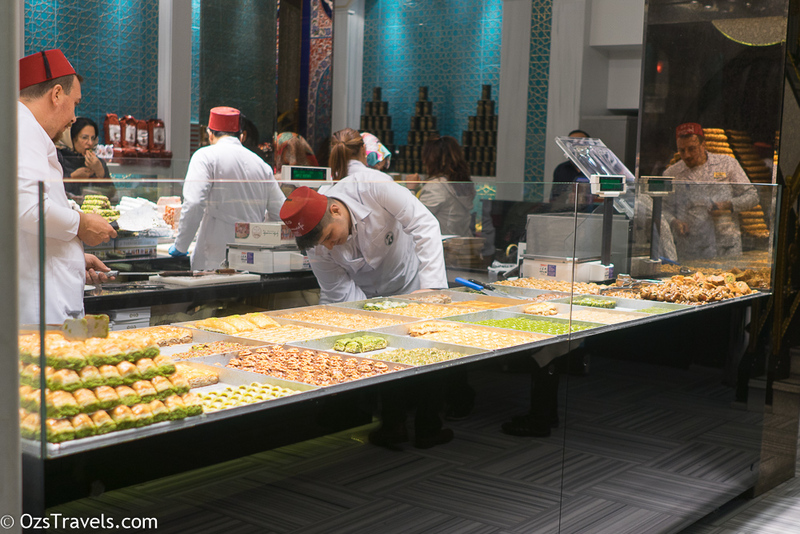 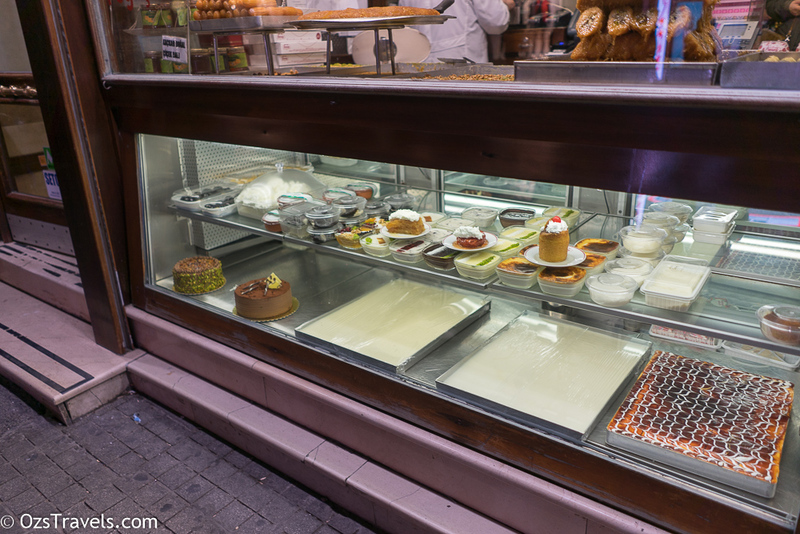 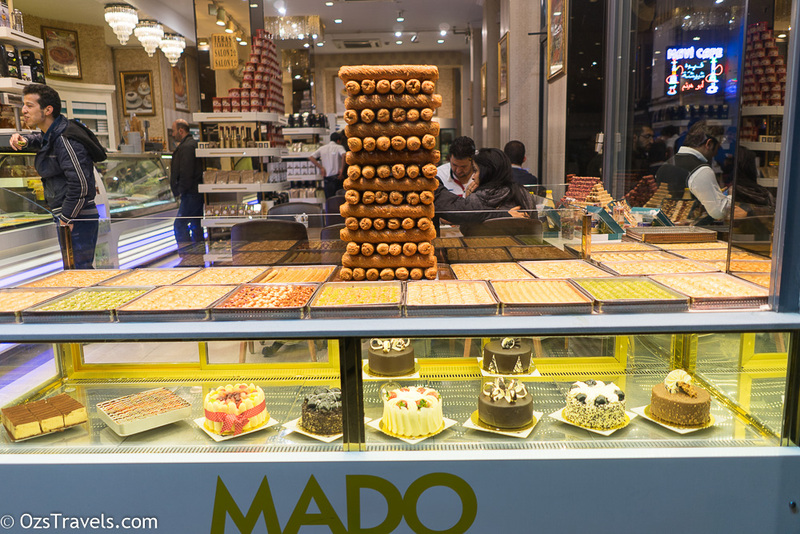 Istikal Caddesi is home to some of the oldest patisseries and chocolatiers in Istanbul, including one of which dates back to 1864. 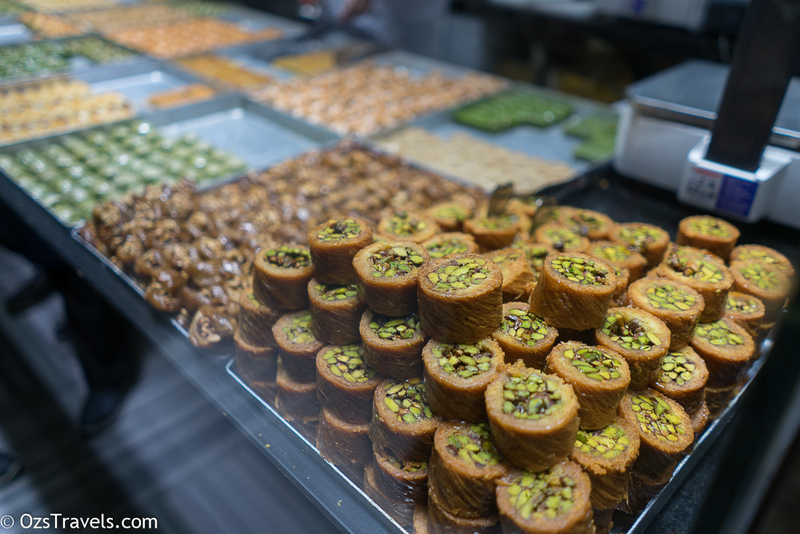 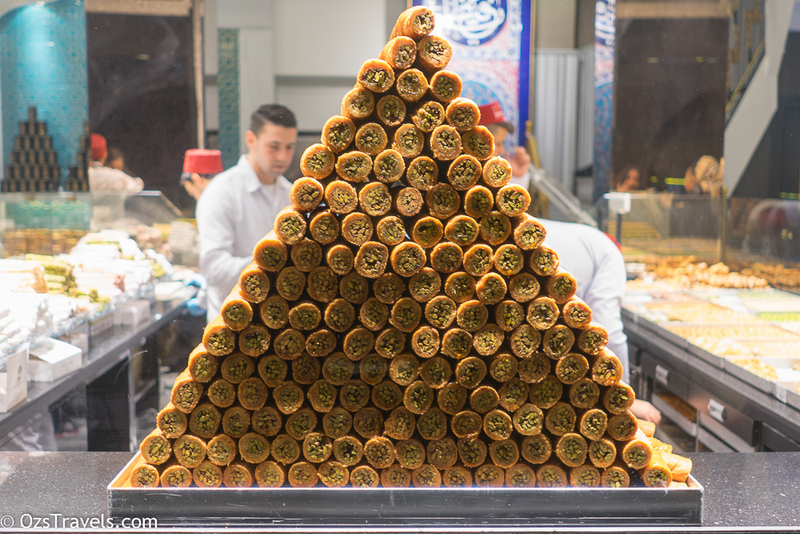 The baklava we had during our Progressive Dinner from Karaköy Güllüoğlu was better, but there were lots of different pastries to choose from in addition to baklava which were very good. 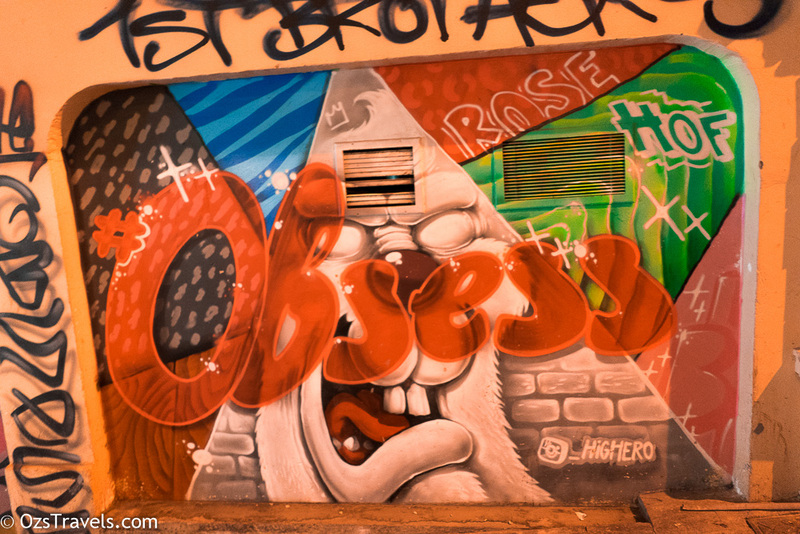 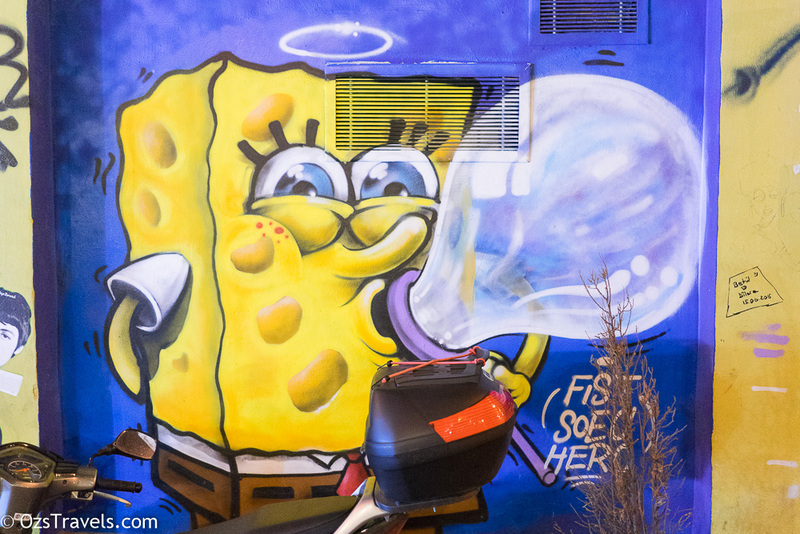 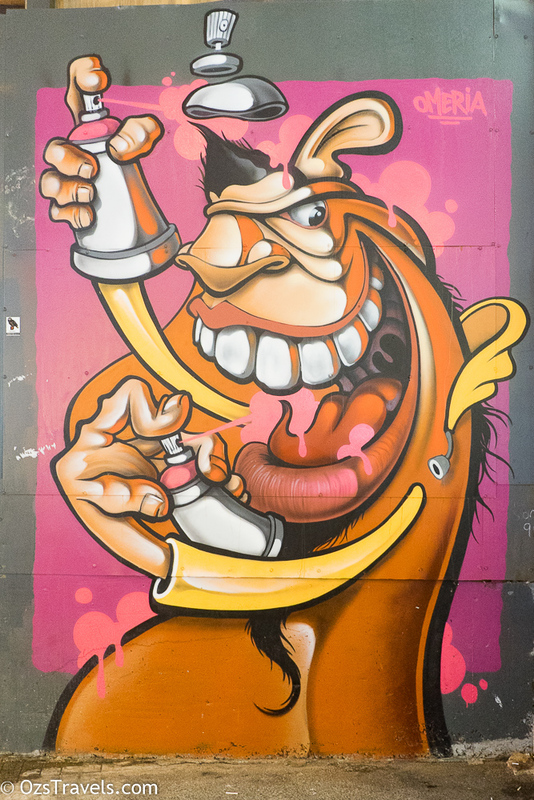 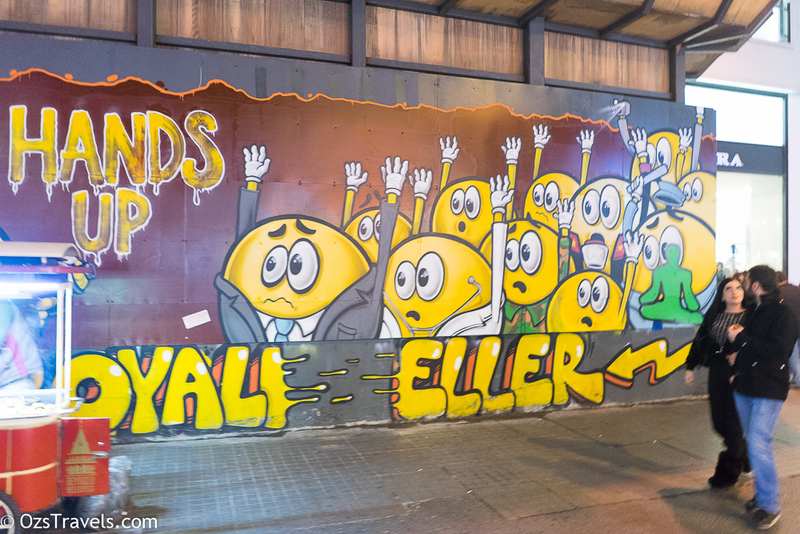 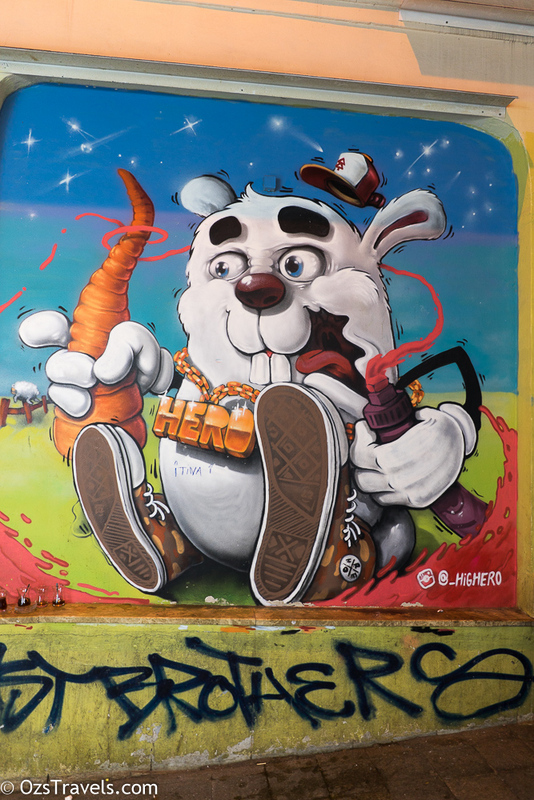 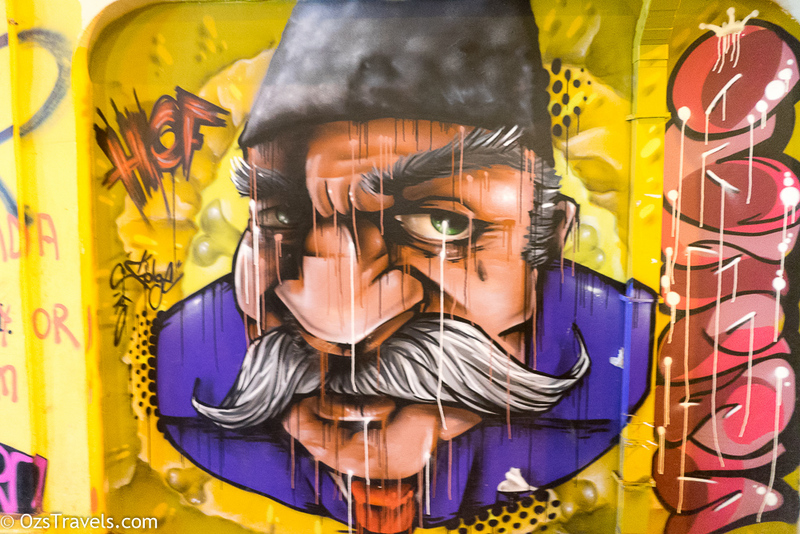 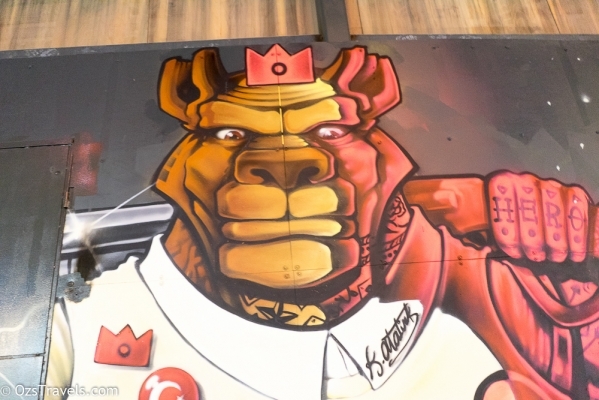 The graffiti in Istanbul, well at least the stuff around the Istikal Caddesi area, was interesting, although there seems to be a few taggers who did not get the message about not tagging / defacing someone else’s work. 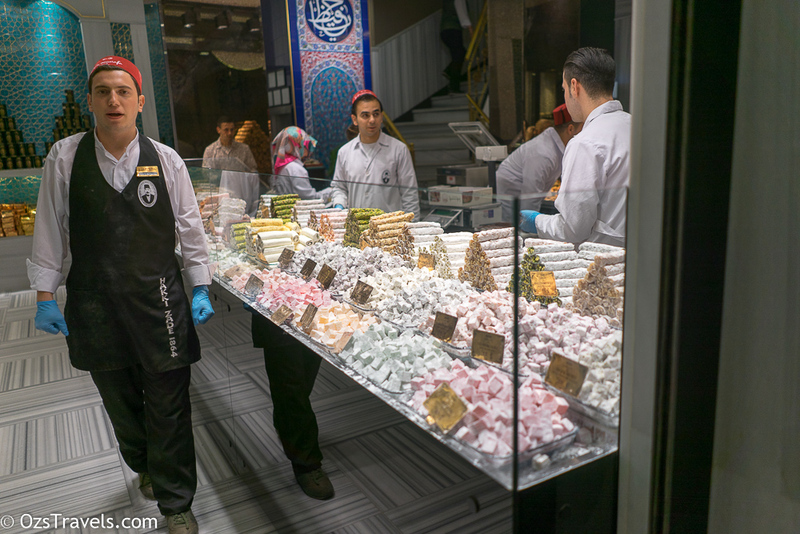 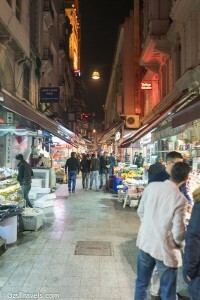 Next time I am in Istanbul I will be exploring a lot more of the lanes and restaurants on and around Taksim and Istikal Caddesi. 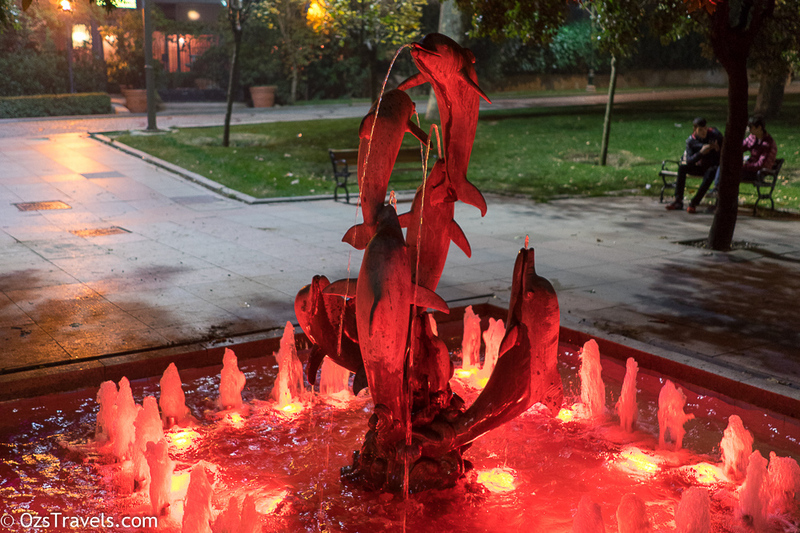 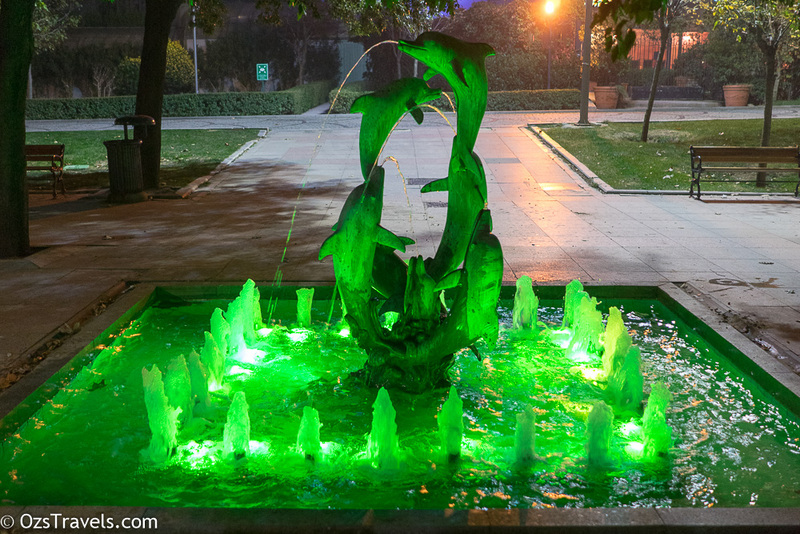 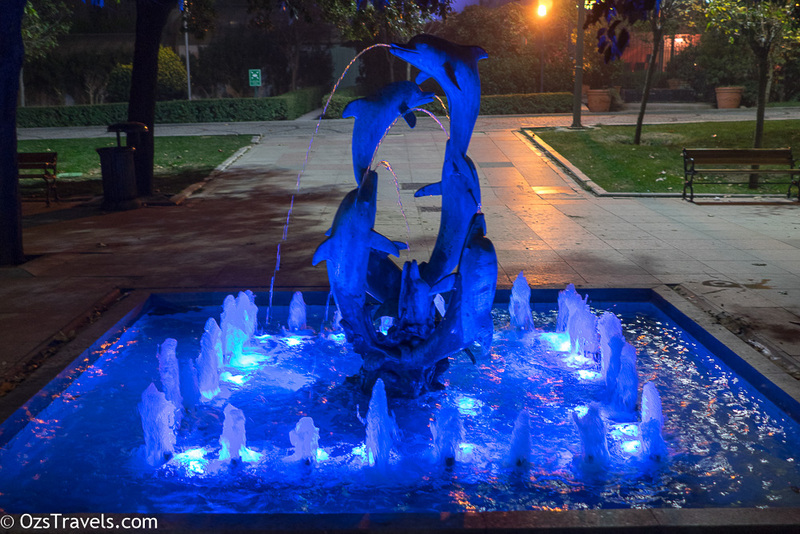 The Dolphin Fountain in Gezi Park, just behind the hotel. 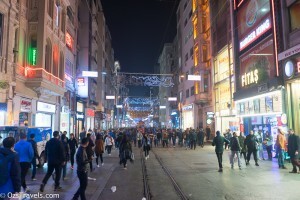 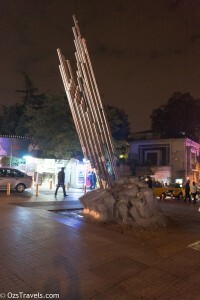 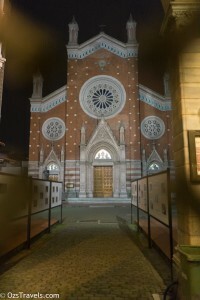 http://istiklal.caddesi.com/ provides a great 3600 view of the avenue, worth a look, you can virtually walk the length of Istikal Caddesi.